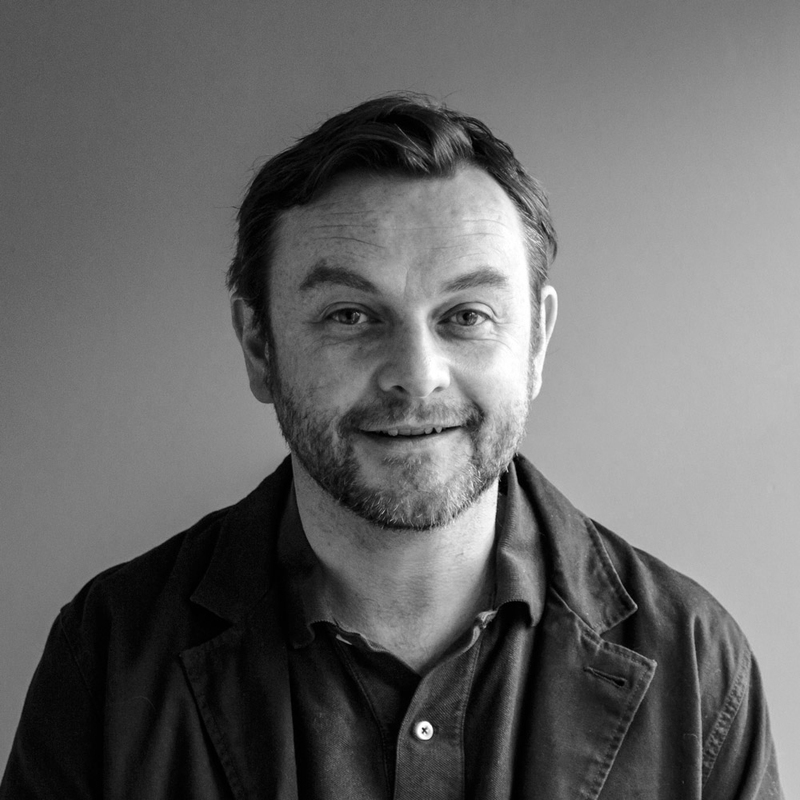 The idea came from Sam Walton, the founder and creative director, who sensed a growing interest in craftsmanship, heritage and integrity – in the luxury sector particularly but also in everything that we buy. There was a sense that, after the global downturn, everyone felt that the era of bling and big logos was over and a bit vulgar. I have known Sam for over 25 years, since we worked at Wagadon, the publishers behind The Face and Arena, and while people were beginning to talk about the death of print we discussed how there was still room for good quality independent titles in the spirit of Wagadon. We had both also recently Moved out of London – Sam to Dorset and myself to Kent – and so there was also a reflection of our own changing values and priorities. The idea was to shine a light on a world that had been underrepresented by quality publishing – of making and creativity and with a nod towards a more responsible consumerism. A ‘hole-and-corner’ is an old English phrase meaning a secret place or a life lived away from the mainstream. We take it to mean somewhere you go to escape,to be inspired, to contemplate or to create. Does everything you feature have to fall under the title of traditional / handmade craft? Not at all – it’s about celebrating a particular attitude to making within the creative industries, and to us that’s just as valid whether you’re working in CAD or chiseling a piece of wood. It’s more about doing things the ‘right way’, caring about the process, not cutting corners, adding value by having a narrative behind the things that you produce – but it’s not intended to be Luddite in any way. We spirit are inspired by stories of innovation and people using the best technology available in the most interesting ways. Are you worried that the revival of interest in craftsmanship and heritage might just be a passing trend? There’s always a danger of the media and marketing departments looking for the next story, but the world we celebrate represents a fundamental change in our attitudes towards the products we buy. We often draw a parallel with the food industry, where provenance has become a key purchasing decision point for a large part of the market. Similarly I think people are beginning to care a lot more about where the furniture we buy comes from, or the things we have in our homes. I think once you’ve made your step you’re not going to be easily swayed by seasonal trends. Why launch a magazine in today’s climate? 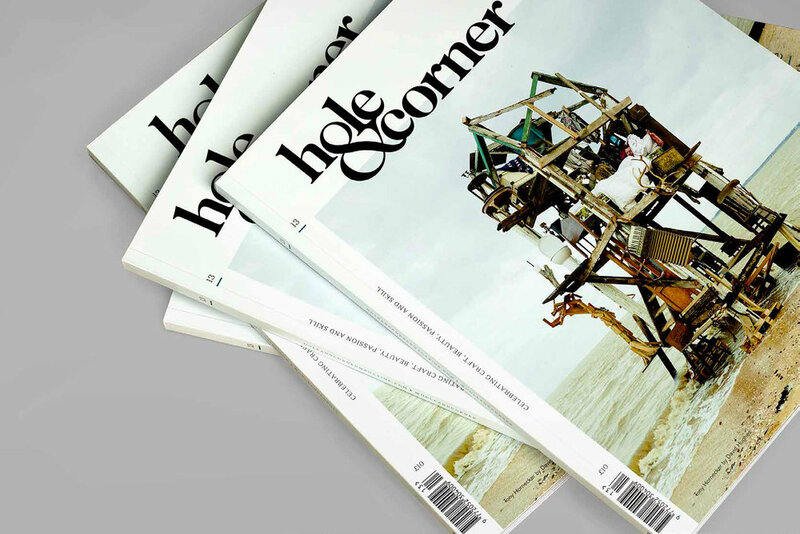 We never envisaged Hole & Corner as solely a magazine: for us it’s a lifestyle brand, which involves digital, social media, film and events. The fact that we have built up a network of makers and creative people whose trust we have earned means we now have an extended group of people to call on for collaborations and live events – be it running workshops at our huge makers’ tent at Port Eliot, giving talks to institutions and colleges, or providing demonstrations for brands like Burberry. We also have a sister agency, A Secret Place (asecretplace.agency) for design projects and other commercial work with companies including Linley and Rolls-Royce. of a digital, connected world. We always look for the interesting story – the person hidden away following their dream or the unusual hobbies, interests and passions of someone who might be an established name in a different world. One of my favourite was Mike Davies, a world-renowned architect who helped to design the Pompidou Centre and the Millennium Dome, but who is also a enthusiast and builds his own telescopes from scratch. I also loved a story we did on Felicity Irons, one of the last traditional rush weavers in the UK, who gathers her own reeds from the banks of the River Ouse by punt, and then uses it to create matting, baskets and other products. And to prove its not all about tradition, we recently ran a piece on furniture maker Sebastian Cox and his use of biotech to use fungi as a binding agent, so he effectively grows furniture in the lab according to his designs. Being able to spend time with so many amazingly talented people. There’s something about makers that is really inspiring – they usually spend more time doing than talking about it and they tend to be happy people because they’re doing what they love. Where is your own ‘hole-and-corner’? I have a few! The view form the Quantock Hills in Somerset near where I grew up, the sunset across the estuary in Topsham in Devon, Casa Malaparte in Capri and Charleston Farmhouse in East Sussex, which was home to the artists Vanessa Bell and Duncan Grant. We have a very busy year coming up, especially on the events side of the business. We are working with several brands to put on a series of events, residencies and workshops across London Craft Week, Salone del Mobile in Milan and various festivals as well as some exciting standalone projects. We are also curating the British Craft Pavilion for the second year running at London Design Fair (part of London Design Festival), which will include the launch of a major emerging talent award. And we’re also publishing our first book!